Please note: Round 3 of the Oxfordshire XC League will be run in conjunction with the 2019 Oxfordshire County XC Championships (entry details will be made available on the Oxon AA website in due course). The County officials will provide runners who have been entered for the County Championships with OXL numbers printed on a red background. OXL runners who have NOT been entered for the County Championships should wear their usual OXL number (printed on a white background). Important Notes: All parking will be in the main BMW MINI Plant Car Park (see directions above) with the exception of officials, club tents, disabled and U11 athletes and parents who may park at the track. Please treat the car park with respect and walk to the venue. Cross the road with care as traffic approaches quickly in both directions. There is strictly NO Parking on the Horspath Road or the entrance to the track. Southbound (M40) traffic: Follow the M40 south and turn off at junction 8a towards Oxford (A40). At the Headington roundabout take the first exit south onto the A4142 (Eastern By–Pass Road). Continue straight on along the A4142 to the third set of traffic lights. Turn left onto Horspath Road (the car park will be visible across the road to your right). Enter the main car park via Gate 7. Westbound traffic: Follow the M40 west and turn off at junction 8 towards Oxford (A40). At the Headington roundabout take the first exit south onto the A4142 (Eastern By–Pass Road). Continue straight on along the A4142 to the third set of traffic lights. Turn left onto Horspath Road (the car park will be visible across the road to your right). Enter the main car park via Gate 7. Northbound (from M4) traffic: Exit the M4 at junction 13. Take the A34 northwards to Oxford. At the junction with the Southern By–Pass Road follow the directions for the M40 (A40). After crossing three roundabouts the MINI Plant will be see on the right as you pass over the flyover at Cowley. Turn right onto Horspath Road at the next set of traffic lights. Enter the main car park via Gate 7. Please Note: Please ensure you revisit this page and re–check for any updates/changes before the date of the fixture. 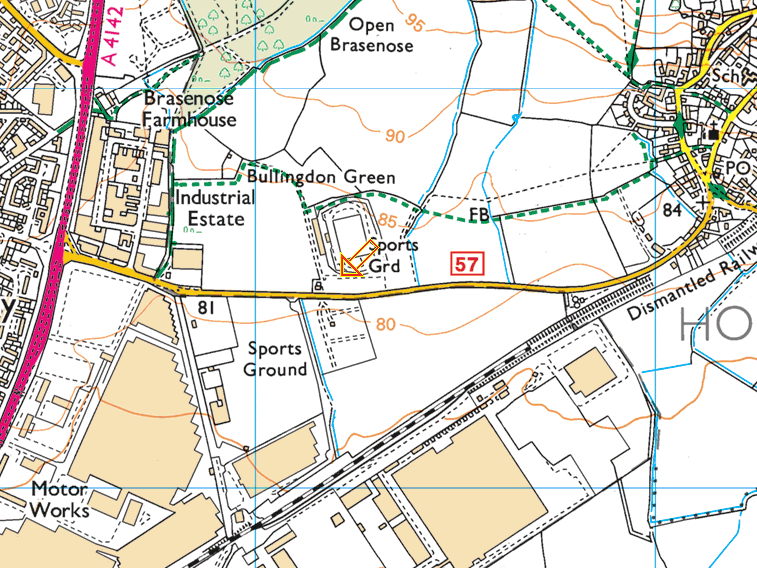 2019 Horspath XC Course Maps will be made available here at the beginning of the week before the fixture.